South Burnett dams boasts hot spring bite! Another cracking month of fishing has gone by since my last report. The lakes edges and deeper flats have really come alive with some cracking fish caught at Bjelke-Petersen and Boondooma dams. It’s a great month to be out on the water as the temps are comfortable and, on the rise, and the fishing is red hot. No matter what type of fisherman you are, the dams in the South Burnett Region have something to offer you. Boondooma is a well-known big bass fishery and this month has seen it really live up to its name. Good numbers of big bass and yellow belly have been caught all around the dam using a variety of techniques. If you’re a keen lure fisherman the best place to start is on the edge, look for rocky points or weedy edges with a bit of structure and you’re sure to pick up a fish or two casting lipless cranks, spoons, plastics or spinner baits. I like throwing a Bassman spinner-bait 3/8 in Olive colour tight to the edge, let it sink to the bottom and use a slow wind back to the boat with a couple of rod shakes in between to entice a strike. In the warmer months the fish really respond well to a reaction lure so keep that in mind when casting to a bank. Mix up your casts and retrieve speed and adjust to what you’re getting your bites with. I like to ‘Burn’ or quickly crank a lure back occasionally to really get them to hit aggressively. If you’re doing this hold on to your rod cause the bite is usually hard and fast. Some cracking Golden Perch and Bass have been caught over the last month from the edge, so it will pay to start this way early on your day out. 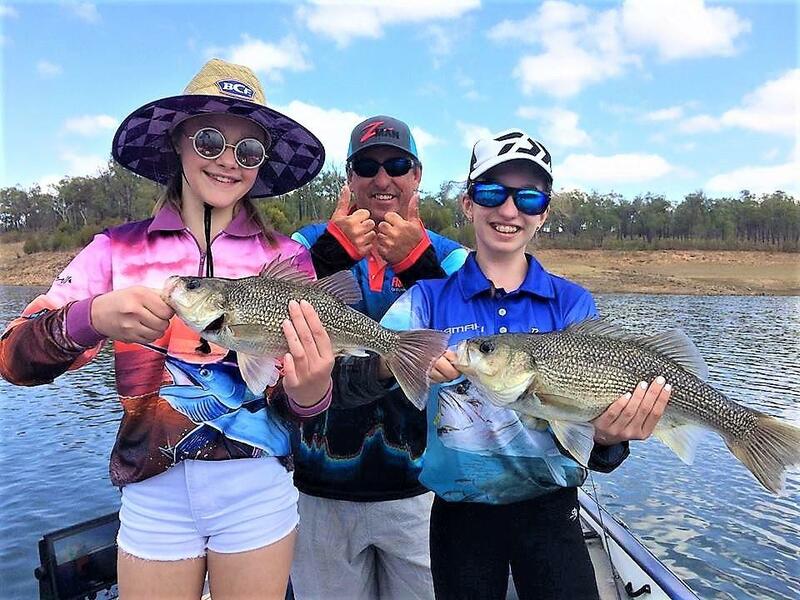 The Ezzy clan took advantage of a great bite on lake Boondooma. 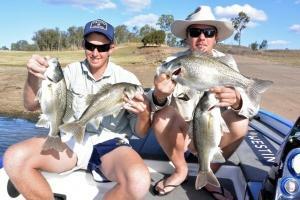 Clayton and Keith with the spoils of a great session on the deeper flats of Boondooma. The best way to keep catching quality is to move deeper as the day starts to heat up. The bigger bass have been caught out on the flats of the dam later in the morning as the wind and warmth starts to pick up, areas such as the junction through to pelican have been productive, as well as Death Valley the Barbour’s pole bank and the main lake points near the dam wall in 30ft of water. Make sure to check with the kiosk if you’re unsure of the names of areas of the dam and they will be sure to help out. I like targeting the areas just wider of the flats as they start to drop off into deeper water. I’ve been finding the fish have been sitting on these ledges and are usually more willing to bite. Ambush points like this are great for our predatory bass, so keep this in mind next time you’re on Boondooma. The best techniques on the flats and ledges have been slow wound Spoons, ½ ounce rigged plastics in darker green or florescent colours and ¼ and 3/8 ounce blades hopped or slow rolled along the bottom in silver or gold colours. Bait fisherman have been bringing in consistent catches of yellow belly, bass and eel tail catfish fishing in the timbered arms. Best baits have been live shrimps, saltwater yabbies and worms jigged off the bottom. 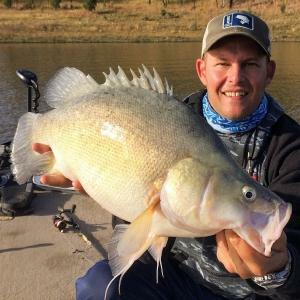 Trollers have been starting to pick up some good numbers of Golden Perch trolling up in the arms of the dam using deep diving hard bodies. Make sure you have a lure retriever hand as you’ll be bound to get caught up in the timber eventually and this device will save you money. Red claw have just started to pick up a bit with the consistent warm weather around the rocky edges using rockmelon, pumpkin and dog biscuits. BP dam has really been making the customers happy with the Bass coming up from the deeper flats and creek beds to feed heavily on the edges. Most anglers have been reporting some great sessions and some cracking Bass and Yellow belly amongst them. The fish aren’t afraid to hit anything that resembles a bait fish. The consistent warm weather can be thanked for this ‘Reaction Bite’ and it’s only going to get better and better the further we move towards summer. The best methods for getting amongst the action is to look for a good rocky edge, position yourself about 40 to 50 meters from the bank and cast towards the edge, let the lure sink to the bottom and start a slow consistent wind. 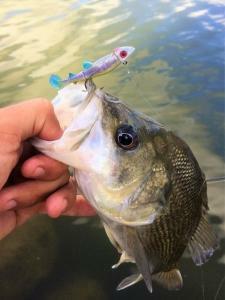 I’ve found the best techniques have been lipless cranks, spinner baits, tail spinners, ½ ounce rigged plastics, jerk baits and blades cast up near the edge. Realistically, if you throw your favourite lure to the edge long enough it’s bound to get smashed by a hungry bass or yellow belly, the fishing is just that good at the moment. Likely areas to target are all over the dam from the dam right through to the shallows up the back of the dam, just look for a rocky edge, sit out wide and cast towards the bank, it’s truly that simple. Trollers are having the same luck by trolling the edges of the dam with deep diving hard bodies, most trollers won’t have to go far before hooking up with a fish or two. Bait fisherman are in much the same boat with fish coming from most locations close to the bank using, live shrimp, salt water yabbies and worms fished closed to the bottom. Red claw are also on the comeback as the water warms considerably. I’ve had the pleasure of taking clients out to a number of dams over the past month and apart from Boondooma and BP there are a couple of dams that require a mention to their fishing potential. 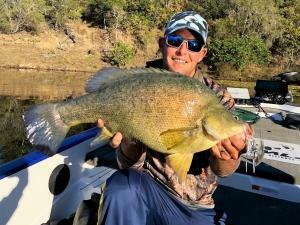 Lake Somerset has been producing consistent catches of Big Bass over the 3kg mark, not only are the bass big but the Yellowbelly are Gigantic. Lake Cress Brook near Toowoomba has also been producing big number of quality fish but you really do need to know where to look. Bass of over 2 kilos are a regular and some good numbers are being caught consistently. One of the Biggest yellow belly I’ve caught in recent years came from Lake Somerset. Until next time, tight line and bent rods. 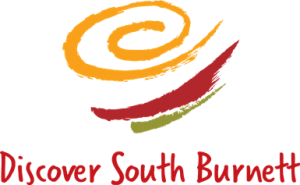 https://www.discoversouthburnett.com.au/wp-content/uploads/2018/10/The-Ezzy-family-photo.jpg 720 960 Stacey Perrett https://www.discoversouthburnett.com.au/wp-content/uploads/2018/01/Discover-South-Burnett-RESIZE-300x185.png Stacey Perrett2018-10-08 08:41:072019-01-07 12:59:05South Burnett dams boasts hot spring bite!